The Korean giant has integrated two microphones into the Level U – one handles voice, while the other one blocks ambient noise. The adjustable joints of the headset are made from urethane, while wing ear gels ensure that its stay comfortable all the time. The headset can be paired with a smartphone via Bluetooth 4.1. Support for apt-X will allow users to enjoy high-quality audio without wires. Battery life is listed at up to 10 hours of music playback and 11 hours of talk time. 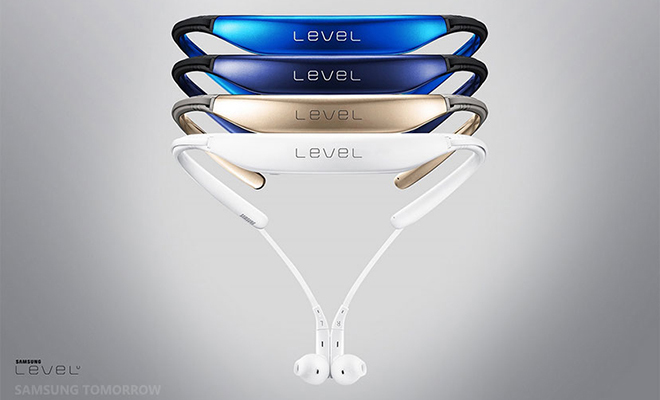 Samsung LEVEL U is already available to order for $70. The headset will be offered in blue black, white, gold, and blue color options.